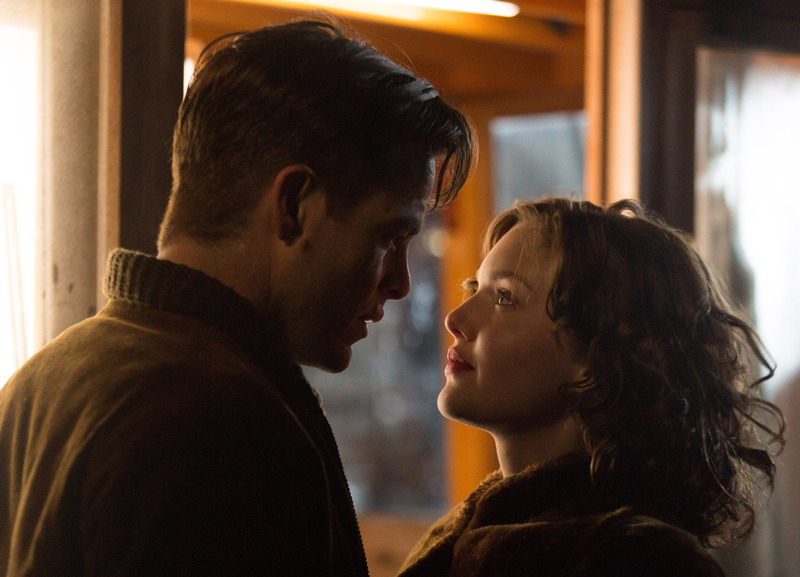 In an early scene of The Finest Hours, shy Cape Cod Coast Guardsman Bernie Webber (Chris Pine) gently tries to coax his new girlfriend, Miriam (Holliday Grainger), into a nighttime boat ride. But she’s afraid of the water after dark. “You can’t see what’s underneath,” she says. “Just more watah,” Bernie reassures her. After we meet Bernie and Miriam, and watch their romance sweetly blossom into marriage plans, we’re introduced to the men onboard the soon-to-be-doomed vessel. There the chief engineer (Casey Affleck) quickly becomes the de factor leader after the captain goes down with the front half of their ship. By the time news of the greatly distressed, disabled tanker reaches the Cape Cod Coast Guard station, Bernie hardly seems like the man for a daring rescue. Some of the locals won’t let the soft-spoken coxswain forget a previous mission in which a life was lost, and Bernie is also teased by some of his fellow, more seasoned Coast Guardsmen when they find out that the “take-charge” gal he’s planning on marrying proposed to him, not the other way around. “You sure you got your pants on, Webber?” one of them asks him. All of this is to set up the “perfect storm” of circumstances for Bernie to prove himself a man, and a hero, when he’s asked to round up a crew and head into the maw of the storm, find the troubled tanker shell and attempt a rescue. After seeing Chris Pine command the starship USS Enterprise across the universe in two Star Trek movies (with a third, Star Trek Beyond, coming in July), he looks a bit odd, teeny and constrained behind the wheel of a small boat, even one battling monstrous, mountainous CGI waves. And even if he’s playing his character true to what the actual Webber did, for the star and hero of the story, he doesn’t get a lot to do—it’s not terribly exciting to watch a “good guy” stand up and steer a wooden lifeboat, squint and shout into the darkness and get splashed with water for most of half an hour. 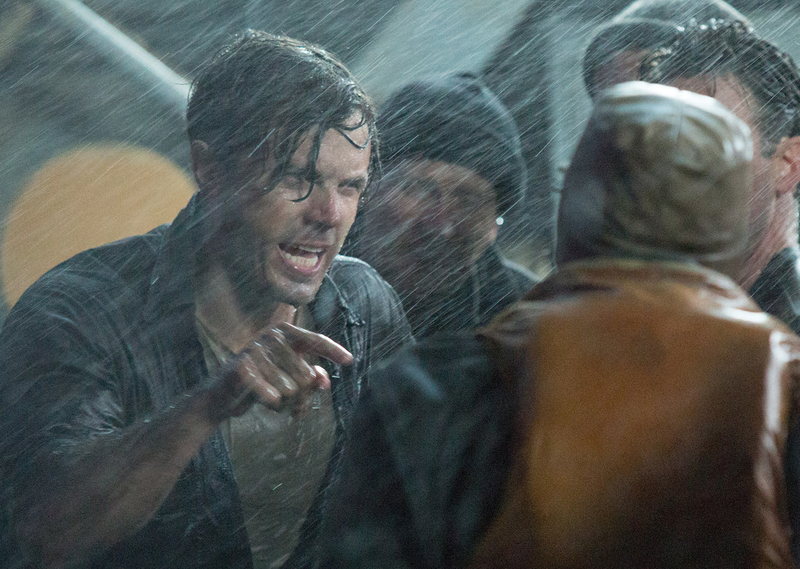 Onboard the floundering back half of the tanker, Casey Affleck fares a bit better, bringing some gung-ho realism and a sense of cool-headed determination to his role as he figures out a way to build a massive makeshift rudder and steer the broken hull of the ship. And with a passionate, firecracker temperament to match her red hair, British actress Holliday Grainger provides a feisty onshore grounding for the salty seafaring action. 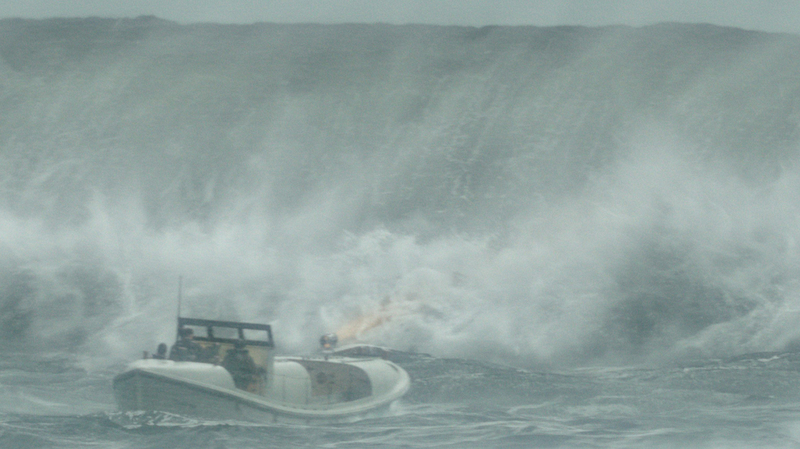 This clam-chowder winter drama won’t win any awards, but it does stand as a rousing Hollywood salute to a little-known incident in nautical history and a stirring tale of Greatest Generation heroism “rescued” from obscurity by the big screen.